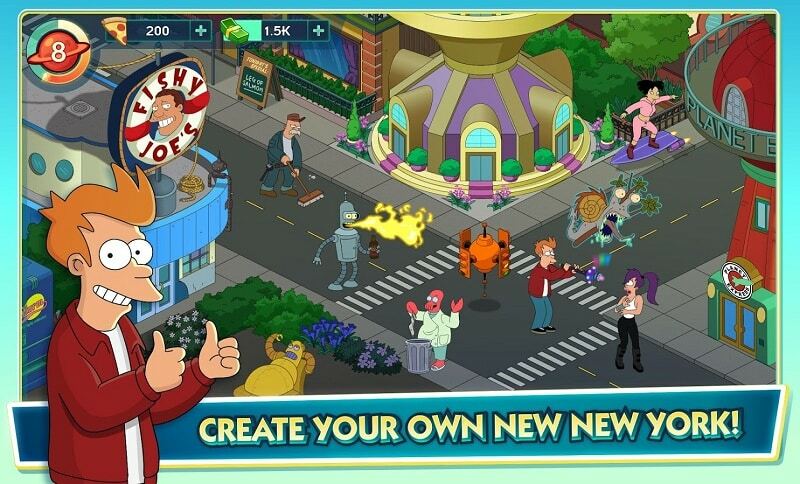 Futurama: Worlds of Tomorrow for PC was developed by TinyCo which is the same company that produced Family Guy Quest for stuff so if you’ve played that one then you can expect a similar experience. Turns out that Family Guy was also a clone of another game designed to make money off a big-name TV show so don’t expect too much in terms of innovation. Futurama: Worlds of Tomorrow for PC is a city-building game where you get to play mayor, engineer, contractor and citizen all at the same time. The best part about it is that you get to build a city in the future world of Futurama that’s customized exactly how you like it. Building the city isn’t all that you have to do though. When you start the game you’re plopped right in the middle of New New York and unable to travel back because the fabric of space and time has gone all wonky. While you’re there it’s your job to clean up the city and make it habitable again while exploring new worlds and reuniting with old friends. If the futuristic city starts to get a little bit stale then you can travel to the skies and explore space. This part of the game is actually quite fun because you get to visit new planets where you have to complete missions and bring back goodies to keep building New New York with. Most of these trips to far-off worlds lead to RPG-style battles with aliens who don’t like what you’re up to. In typical Futurama style, those aliens look particularly ugly so you won’t feel to bad about giving them a beat down using Fry, Bender or Amy. The developers brought a fresh take to the RPG battles by making it so that you have to tap the screen at just the right moment to unleash devastating attacks. The game has great visuals and really knows how to make you feel nostalgic about the great times that you had watching the show. How much you enjoy this game will depend on how well you can tolerate free features such as pop-ups and timers. There are so many of these features that gameplay is constantly being stopped with a reminder that for a few dollars, you can make the game go smoother. Sometimes you wish that there was a way you could pay them to get rid of the IAP prompts for good while you navigate the city. The city map helps you get around but it is a confusing mess of icons designed to steer you towards the next menu that you can’t access without an IAP. If you manage to dodge those menus then you’re bombarded with a host of other menus for upgrading your characters which also require IAPs. 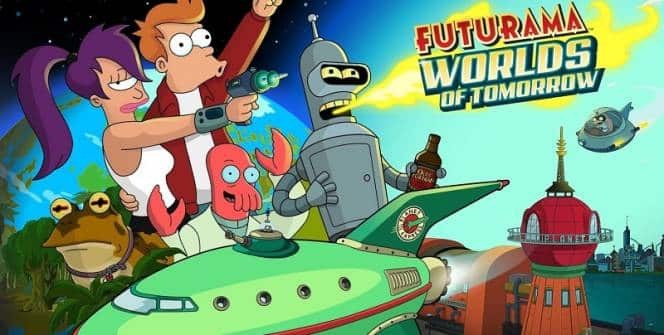 Futurama: Worlds of Tomorrow for PC was obviously designed for die-hard fans of the TV show and will not appeal to casual gamers especially because of the numerous roadblocks thrown in that try to strong-arm you into making in-app purchases. It would not be nearly as popular if it didn’t have Futurama in the tittle. Sometimes when playing Futurama: Worlds of Tomorrow, bluestacks ask you fee to pay but gives you option to download some apps. Every time it asks you just select “Install apps” and continue using it free. I hope you enjoyed this article, please rate and share. 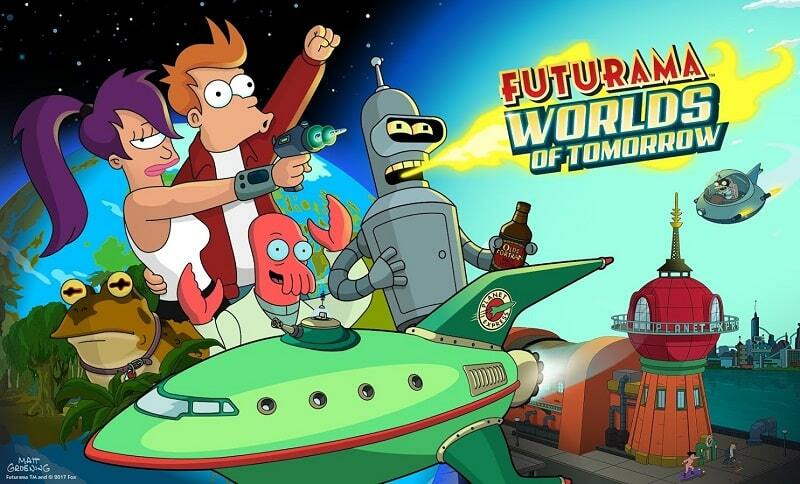 If you have problems running Futurama: Worlds of Tomorrow on your desktop or any other issues, leave a comment below.